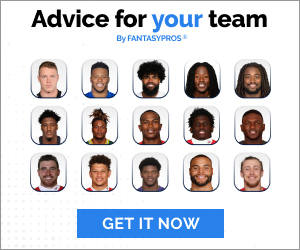 As a fantasy football draft newbie, I made a lot of mistakes. I leaned on my limited knowledge of players and took only names I recognized without research. I took a QB in round two, and grabbed the defense I rooted for in round three. My fantasy team did not win the trophy that year. I managed to make the playoffs, but only by changing out the entire roster through waivers and trades and being lucky enough to find a few sleepers. Going into this year, I hope to draft the sleepers I anticipate to have a breakout year. In order to do so, I’m following the position-to-draft-round strategy for my standard 12 team league shown below. You can’t go after too many RBs and starve the wide receiver position in your roster. That is why I take WRs as early as rounds 3 and 4. I’ve written before about how I’ve run several mock drafts using this strategy, and found that I could get potential breakouts like Royce Freeman as my flex and Kerryon Johnson on my bench. In a standard league, running backs are the ones putting up the most points. It helps to have plenty on the bench as backup options to the 3 roster spots, especially RBs that could have a great rookie season. From there, I go back to WR for the bench on rounds 8 and 9. I wouldn’t call Corey Davis or Jamison Crowder sleepers, but here I’m looking for solid backup options or potential flex players. 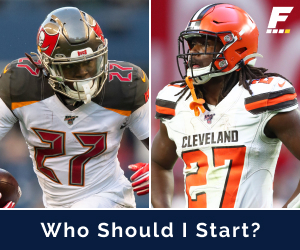 Round 10 is where I completely fill up the bench and find a value RB that is being overlooked or potentially a sleeper poised to have a great year. This year I’m looking for a running back like C.J. Anderson. I expect him to be the power back, likely getting goal line work behind Christian McCaffrey. Once the bench is full, Iook for TE, QB, DST, and K in that order to finish the draft. Some folks place more importance on QB, but I think there are about 5 elite fantasy QBs and anyone else is just a streaming option. Here I’m looking at QBs like Andrew Luck and Matthew Stafford. Both of which should have great years and the experience to limit their interceptions. None of this is new to veteran fantasy football players. There is surely more nuance to drafting well than what I’ve covered. From my limited experience in a standard league I’ve learned two things in drafting: load up on RBs and grab good WRs as early as possible. Everything else is a left to chance, and that is where you can allow your fandom to take over. You’ll probably end up making waiver pick ups on those positions during the season.